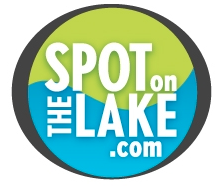 This week, we are excited to unveil the new SpotOnTheLake.com. The new site still has all the same great information as the original site, including featured properties, lake news and the SOTL Water Depth Guide. The new site offers an improved map search that includes all listed properties from both GA and SC. Most agent sites only give you the feed from one MLS. We have also set up quick searches by city if you know what area of the lake you want to be on. There is updated information for the other area lakes and a new quick comparison chart. We also have the opportunity for more candid photos and videos with better feeds to social media. Speaking of photos, feel free to email any that you are particularly proud of and we will post them. And since I am not a fisherman, I would particularly like to get some great fishing shots. We also have client reviews and bio’s on all of our team members. And speaking of team members, we want to give a big shout out to our new Marketing Specialist, Kerri Jensen, who is responsible for coordinating the roll-out of the new SpotOnTheLake.com. Please explore our new site and let us know how we can make it better for you.